Confidence. When you're planning an event or conference, nothing is more important than knowing you've chosen the right location - and the right professionals to help you make it a success. When you choose one of BOYNE's three exceptional northern Michigan resorts as your venue, confidence is exactly what you'll feel, from the initial planning stages through the event's successful conclusion. 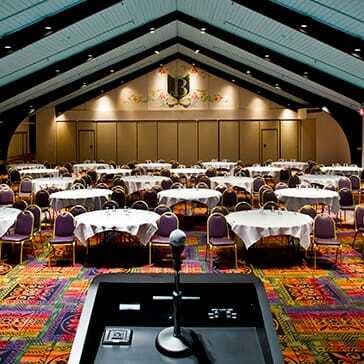 Whether you choose Boyne Highlands Resort, Boyne Mountain Resort or Inn at Bay Harbor to host your next meeting or event, you can rest assured that you'll have access to full-service conference facilities and amenities. From an intimate board meeting, to a full-scale gala, all of our northern Michigan resorts are staffed by committed event professionals, all with the skills and dedication necessary to help you realize your vision. For guests, BOYNE offers the ideal combination of diverse lodging options, from luxury hotels to full-service three-bedroom condominiums, all with easy access to a wide range of resort amenities, experiences and irresistible dining. During the summer, guests can experience golf on eleven championship golf courses, tennis, swimming, fly fishing, mountain biking and hiking. For winter conference guests, BOYNE boasts the Midwest's foremost on-snow repertoire - with alpine skiing and snowboarding, cross-country skiing, snowshoeing and tubing. At Avalanche Bay, Michigan's largest indoor water park, guests of all ages can enjoy indoor fun all year 'round. In addition to our popular seasonal activities, guests will also have access to our award-winning spas with full-service beauty treatments, massage, yoga, pilates and countless other ways for conference or group guests to spend quality time winding down. Shoppers also find plenty to explore at each of our resorts, and in the charming shopping districts of nearby Bay Harbor, Petoskey, Boyne City and Harbor Springs. Contact the group sales team at BOYNE - and make the most of your next event or conference. Call 800.TO.BOYNE for assistance planning your next meeting at some of the Midwest's finest resort locations.